Planning a corporate event can be a real challenge, especially for someone who does not have experience with this type of work. Whether your goal is to create an intimate gathering for employees and spouses to celebrate a milestone or if you want to host a workshop, conference, or seminar event, it all starts with finding the best venue. Meeting and event space in Swansea, MA at the Venus de Milo can help you to achieve all of your goals. With ballroom and meeting space sizes that range from groups of 20 or less to more massive expositions that can host up to 1,800 guests, our conference center in Southeastern New England has it all. From amenities to on-site parking, top quality catering to audio-visual equipment, we have many years of experience working with clients hosting corporate events in Massachusetts. Getting a return on your investment (ROI) can be much easier to gauge than determining whether your attendees got anything out of attending your event. Just a few years ago, the only way that professionals could gain access to industry leaders, speakers, and information was to attend an event in-person at a conference center. 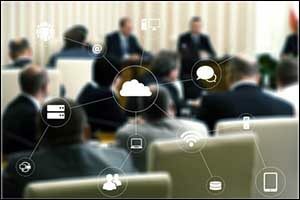 However, many young executives and entrepreneurs are getting their information via web-conferencing or online seminars. The best way to attract these individuals to attend your corporate event at a conference center in Southeastern New England is to provide them with content that they can’t get anywhere else. In addition, you need to create an experience as part of your Swansea, MA event planning that will make it worth their while to attend. Build excitement by addressing the needs of your attendees with pre-event, on-site, and post-event interactive content and activities that will grab their attention and hold it until you are ready to let go. When hosting corporate events in Massachusetts, you need to be creative and find new ways to encourage attendees to sign up for your gathering, show up, participate, and then tell others about it afterward. It is much more challenging to plan a conference or exposition at a meeting and event space in Swansea, MA than it used to be, but that doesn’t mean that it can’t be done. You just need to look at it in a whole new way, address the needs of your target demographic, and pull it off without a hitch. You don’t want to put out invitations or open registration for an event only to discover that the venue you have chosen can just handle about 500 guests. It is important to provide some cushion in your estimated attendance to ensure that the conference center in Southeastern New England will be able to accommodate you and all of your attendees. 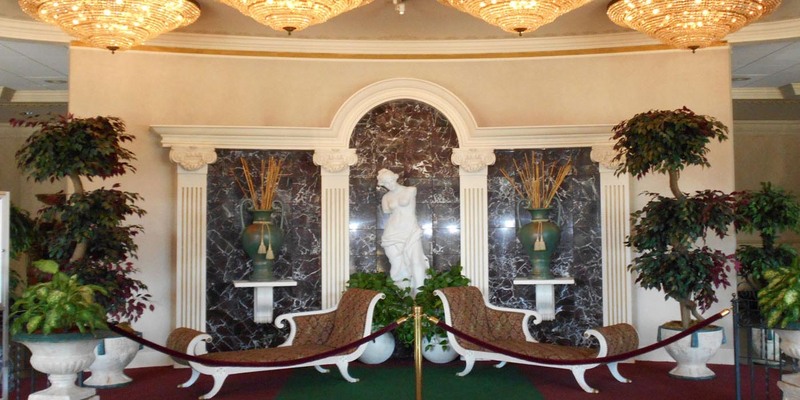 Venus de Milo has a solid reputation within the South Coast area for quality amenities, services, and space. Companies from all over Southeastern Massachusetts, Rhode Island, and Connecticut have put on events of all sizes at our venue, ranging from small conferences of 100 to 200 guests and larger expo-style gatherings of over 1,000. You will also want to make sure that there is enough space for all of your Swansea, MA event planning, such as smaller classroom spaces for workshops and lectures, a large ballroom for expo booths, and a place for registration tables, refreshments, and community gatherings. Planning networking events within the overall convention, such as cocktail parties, formal dinners, and luncheons will help your guests to meet up with other attendees, chat with industry leaders, and make some solid connections. This is a big reason why people still attend live events instead of simply going online to hear lectures and view classes from past conventions. Our meeting and event space in Swansea, MA is conveniently located just off Route 195, providing easy access to all of the major arteries that feed Southeastern Massachusetts and Rhode Island. We offer ample free parking for all of your guests and we are also convenient to local and international airports, as well as a wide variety of local hotel accommodations. Venus de Milo features seven distinct event spaces for a truly custom professional event experience. We can provide you and your guests with free Wi-Fi, quality tech services and up-to-date audio visual services to enhance your presentations. The Venus has a very versatile catering menu that is value priced and easy to customize, in addition to our locally famous and award-winning gourmet restaurant facility. If you are interested in hosting corporate events in Massachusetts at our venue, give us a call at 508-678-3901 to schedule a tour or secure a specific date.